Mamie Geneva Doud Eisenhower, 1896-1979. First Lady of the United States, 1953-1961. 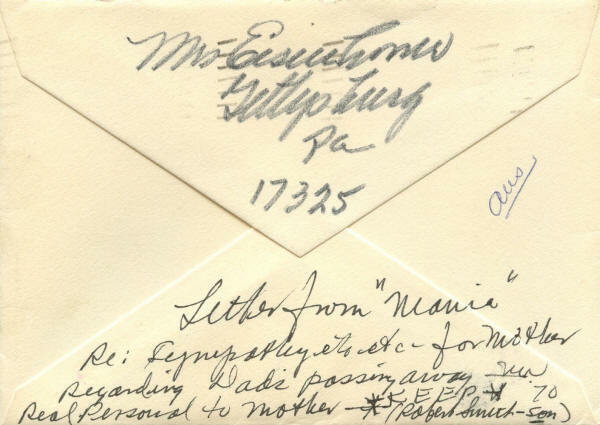 Autograph Letter Signed, Mamie Eisenhower, four pages (including integral leaf), 5” x 7½", on engraved stationery of The Eisenhower Farms, Gettysburg, Pennsylvania, November 17, 1970. 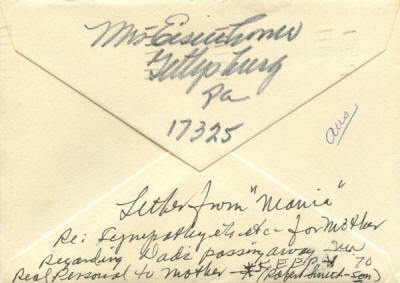 With original envelope addressed in Mamie's hand and signed Mrs. Eisenhower. 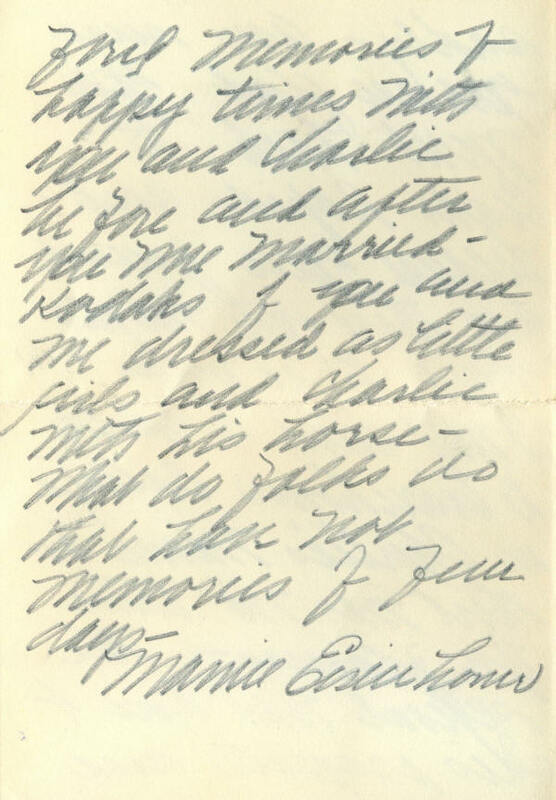 Mamie's letters are often chatty, and this one is no exception. The poignancy of this letter, though, makes it among the better ones that we have seen. 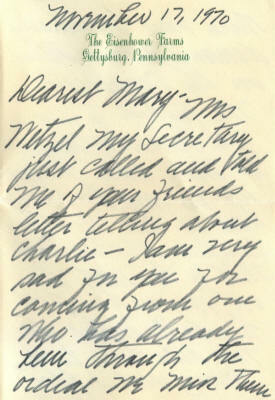 The letter is in very fine condition. Mamie has penned it in a black felt-tipped pen.  It has one normal mailing fold, which does not affect the signature. 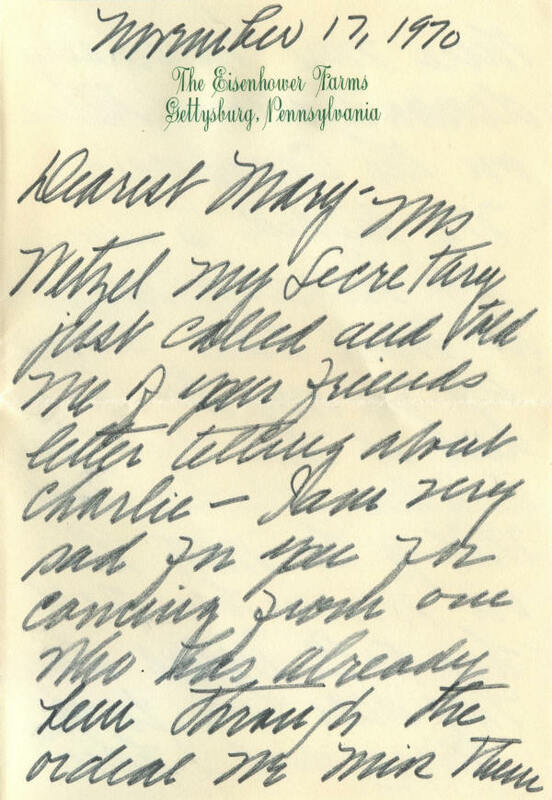 The envelope bears Mamie's printed free frank and has her handwritten signature, Mrs. Eisenhower, in the return address on the back flap. 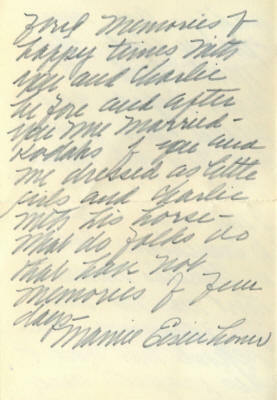 It is in fine condition, torn open at the top, with remnants of a forwarding sticker affecting part of the addressee's address and a descriptive note in another hand on the back.